The 60th annual Grammy Awards, hosted by James Corden on 28 January, 2018. He won three out of the four major categories for "24K Magic" and "That's How I Like It," and took home six Grammys in all. Kendrick Lamar followed as the night's second biggest winner, claiming five Grammys. 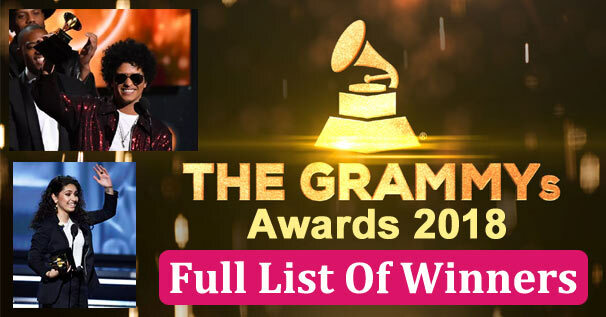 The complete list of winners from the 60th annual Grammy Awards.